The Mind refers to the total of all our mental activities—including thinking, learning, problem-solving, willing, perceiving, concentrating, remembering, attending, and experiencing thoughts and emotions. What does the mind have to do with faith? Jesus connects the two together. He is speaking to them of His ability to provide their needs for them such as food, clothing, and drink, then makes a statement about them. “0 ye of little faith” (Luke 12:28). The very next scripture says, And seek not ye what ye shall eat, or what ye shall drink, neither be ye of doubtful mind. For all these things do the nations of the world seek after: and your Father knoweth that ye have need of these things, But rather seek ye the kingdom of God; and all these things shall be added unto you (Luke 12:29-31). But I see another law in my members, warring against the law of my mind, and bringing me into captivity to the law of sin which is in my members…I thank God through Jesus Christ our Lord, So then with the mind I myself serve the law of God; but with the flesh the law of sin (Romans 7:23,25). The mind has power. It is the crowning creation of God Almighty. The mind of man is magnificent, but can be abused or used for a noble cause. The choice is determined by what is fed into the mind. The power of the mind was recognized by God when He came down to see the city and the tower which the children of men builded. “And the Lord said, Behold, the people is one, and they have all one language; and this they begin to do: and now nothing will be restrained from them, which they have imagined to do” (Genesis 11:6). It was in their mind to build a tower of Babel, and they would have done so if the Lord had not thwarted their plans. Nothing is impossible to the human mind, God says, when there is faith involved. Ships, electricity, radar, automobiles, atomic power have all been the result of thought. Whatever thoughts and attitudes are conceived in the mind will multiply whether they be of evil or of good. Kings will come forth–kings that will rule. Kings such as bitterness, fear, jealousy, worldliness and doubt, or on the other hand, kings of faith, love, peace, joy, power, and a sound mind. The mind is fertile. It conceives and then it gives birth. It is constantly absorbing information. The information absorbed will produce corresponding products. It is possible to keep the mind in positive gear at all times by the renewing of it. You can change! The negative world system does not have to dominate you. “And be not conformed to this world: but be ye transformed by the renewing of your mind, that ye may prove what is that good, and acceptable, and perfect, will of God” (Romans 12:2). The mind of Christ was ever active towards helping those that needed to be helped. His actions were deliberate, positive, and full of faith. To every person with whom He came in contact that needed a miracle, He ked about faith. The element of faith was never parated from Him. It was an integral part of His system. When Paul writes to the Philippians he tells them to have e mind of Christ. When he says, “Let this mind be in u, which was also in Christ Jesus” (Philippians 2:5), he is talking about humility and submission. If Jesus had the attitude of a servant, was obedient to the cross and the purpose of heaven, so should His followers be to the higher purpose. It is impossible to do this without faith. Faith in God must be an integral part of the mind in order to operate in the realm Jesus operated. It is possible to have a blinded mind and not be able to see the purpose of Christ and be sensitive to His perfect plan. The blinded mind is referred to in II Corinthians 3:14: “But their minds were blinded.” Paul talks about there being enemies in the mind, (Colossians 1:21). Not enemies of the mind, but enemies in the mind. That means they were resident; they lived there trying to blind _them to the will of God. Anything that exalts itself against the knowledge of God is an enemy in the mind. Those enemies must be dealt with and kicked out–not subdued, but brought into captivity and then thrown out. “Casting down imaginations, and every high thing that exalteth itself against the knowledge of God, and bringing into captivity every thought to the obedience of Christ” (II Corinthians 10:5). It is important to not be shaken in your mind. “That ye be -not soon shaken in mind, or be troubled…” (II Thessalonians 2:2). Guard the mind, for that is where it all happens. Nothing is put into action except the mind dictate it first. Guard against having a doubting, blinded mind which is built on wrong thoughts. When the storm comes, the enemies of deceit will have eaten away at the very foundation of faith and truth causing a flood of the enemy’s suggestion to destroy everything. You can open up your mind to the lies of Satan and he can make you believe something that is not true. Paul talks about this in II Corinthians 4:4: “In whom the god of this world hath blinded the minds of them which believe not…” It is imperative to have faith, lest Satan, the god of this world system, will blind the mind. But Paul gives hope. “For who hath known the mind of the Lord, that he may instruct him? But we have the mind of Christ” (I Corinthians 1:16). God’s power is more powerful than the god of this world. Put your faith in God and you will win. “That your faith should not stand in the wisdom of men, but in the power of God, Howbeit we speak wisdom among them that are perfect: yet not the wisdom of this world, not of the princes of this world, that come to nought” (I Corinthians 2:5-6). All wisdom is going to come to nought, except the wisdom of God. Put your investment in God’s word; that is where the reward is. There was once a man that lived in the country of the Gadarenes, near the Sea of Galilee. That man was driven by spirits so much that he could not keep his clothes on, so they chained him to the tombstones in the cemetery. When a certain spirit came upon him, he would break the chains, and terror would reign in the nearby community. One day Jesus walked near the naked man, and the spirits inside of him cried for Jesus to not torment them. When Jesus spoke, He commanded the unclean spirits to come out of him. Later when news reached the people of the village, they went out to see for themselves what had happened. “Then they went out to see what was done; and came to Jesus, and found the man, out of whom the devils were departed, sitting at the feet of Jesus, clothed, and in his right mind” (Luke 8:35). Attitudes and spirits that are not rooted in the wisdom of God always torment and take away the rightness of the mind. When Jesus dealt with the problem of the Gadarene, his right mind was restored to him. Jesus gives love, power, and sound minds (II Timothy 1:7); whereas the devil gives fear, confusion, and depression. It is essential to build a mind of faith. Just as Jesus told His followers that they must love Him with all their heart, soul, mind, and strength (Mark 12:30), even so, it is important to let faith have its perfect work in the mind. Feed the mind with things that build, strengthen, and produce things that will glorify God. Do not leave the mind open for spirits that attack faith, but be on guard to constantly build up the holy faith given by God. You are spirit dwelling in a fleshly body. It is not the body that determines who you are, it is the mind. If you constantly feed into your mind phrases such as, “You can’t trust anyone,” or “People are just out to get what they can out of you,” or “Nobody loves me,” or “I just feel sick all the time,” then you are feeding the wrong kind of thoughts that will eventually manifest themselves. “For as he thinketh in his heart, so is he” (Proverbs 23:7). Verily, I say unto you, If ye have faith, and doubt not, ye shall not only do this which is done to the fig tree, but also if ye shall say unto this mountain, Be thou removed, and be thou cast into the sea; it shall be done. And all things, whatsoever ye shall ask in prayer, believing, ye shall receive (Matthew 21:2122). “Yes, but what does it signify?” asked the other. That is faith! Throwing away the canes and crutches of man’s wisdom and doubt. Throwing caution to the wind, and believing it is done before it is done. Faith always takes the first step forward. It is a spiritual foresight, which peers far beyond the physical eye’s vision. It is a courier which leads the way, opens the closed door, and sees beyond the obstacles. When a woman of Canaan came to Jesus and cried to him for help, the disciples decided she was a nuisance and wanted to get rid of her. But she did not leave; she fell down before the Lord and worshipped Him. Jesus discouraged her and told her that He was only helping the Jews at that particular time. 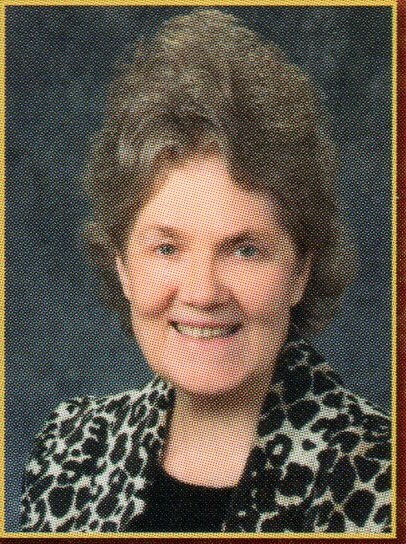 She said, “Truth, Lord; yet the dogs eat of the crumbs which fall from their masters’ table” (Matthew 15:27). 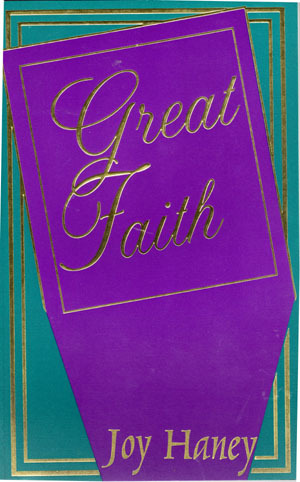 When Jesus saw her persistent faith, He said, “0 woman, great is thy faith: be it unto thee even as thou wilt. And her daughter was made whole from that very hour” (Matthew 15:28). It was not protocol, traditional, or expected by the religious body, but she expected it and received what she believed was already done. Her mind was made up before she went to Jesus. That is how she could be so persistent and not intimidated by what tradition dictated. Jesus did not let her down because He always honors faith! When faith is present, He always performs. If Jesus instructed His followers to not be of a doubtful mind, how do you obey this commandment? Psychologists say that 10,000 thoughts go through the human mind in one day. That is over 3,500,000 a year. According to the American Medical Association, sitting up in bed increases your energy requirements ten percent; standing nearly doubles it; chopping wood causes your needs to shoot up nearly eight times. The interesting thing is, heavy thinking requires hardly any energy at all. My questions are, What do you think about all day long? Do you think of the wrong someone did you, or the trial of yesterday? Is your mind on other people’s faults, or is it filled with fear and depression? What do you extend your thinking ability towards? How many hours a day do you meditate and think on the word of God? What demands attention in your mind? Do you hear something that is tinged with doubt and dwell on it, or worse, even believe it? Napoleon often told the story that while visiting a province he came on an old soldier with one arm severed, who was dressed in full uniform. On his uniform he displayed the Legion of Honor award. Napoleon asked him where he had lost his arm, and the soldier told him he lost it at Austerlitz. “What then would have been my reward?” asked the one-armed man. “Then,” Napoleon replied, “I would have awarded you a double Legion of Honor.” With that the proud old fighter drew his sword and immediately cut off his other arm. were subjugated and starving, our empire on the seas would carry on the struggle until in God’s good time the New World with all its power and might steps forth to the rescue and liberation of the old. This was positive faith believing in a cause. This winning attitude is important and needful and must be applied in a Christian’s life against the enemy of your soul, but there is a higher level of faith in God. It is more than the power of the mind that God has given to mankind. It is not believing in our power, but it is believing in His power. As we decrease in our own reasoning and trying to figure things out, He increases in us. Faith washes away our questions, doubts, and fears. “For God bath not given us the spirit of fear; but of power, and of love, and of a sound mind” (II Timothy 1:7). It is His word and spirit in us. Paul wrote, “For this cause also thank we God without ceasing, because when ye received the word of God which ye heard of us, ye received it not as the word of men, but as it is in truth, the word of God, which effectually worketh also in you that believe” (I Thessalonians 2:13). The Word works if we believe in our minds. 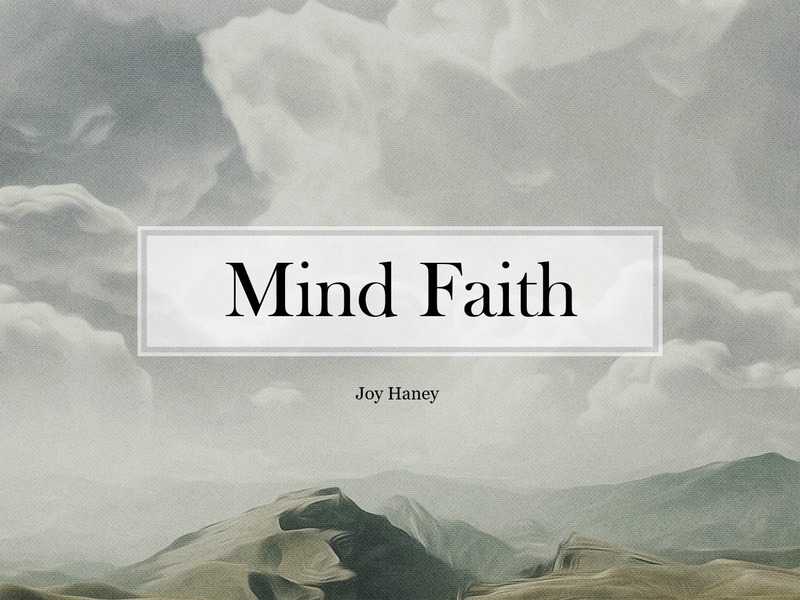 The above article, “Great Mind” was written by Joy Haney . 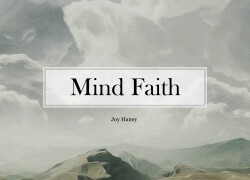 The article was excerpted from chapter nine in Haney’s book Great Faith.